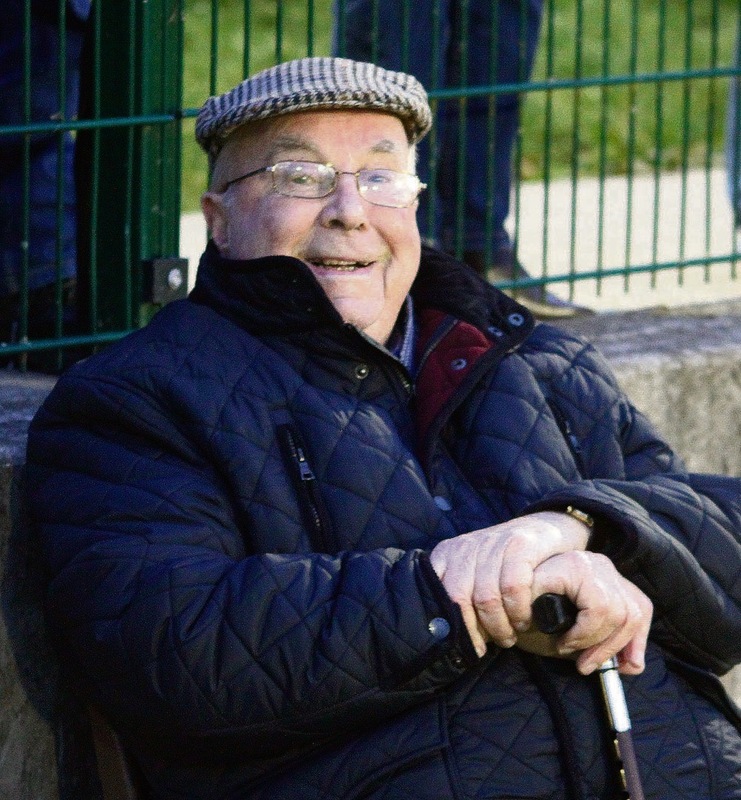 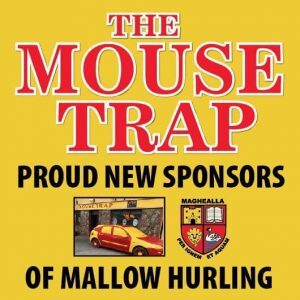 You are here: Home / Club / Mallow GAA notes 12th April.. 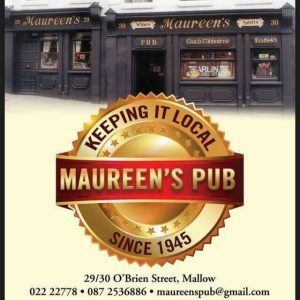 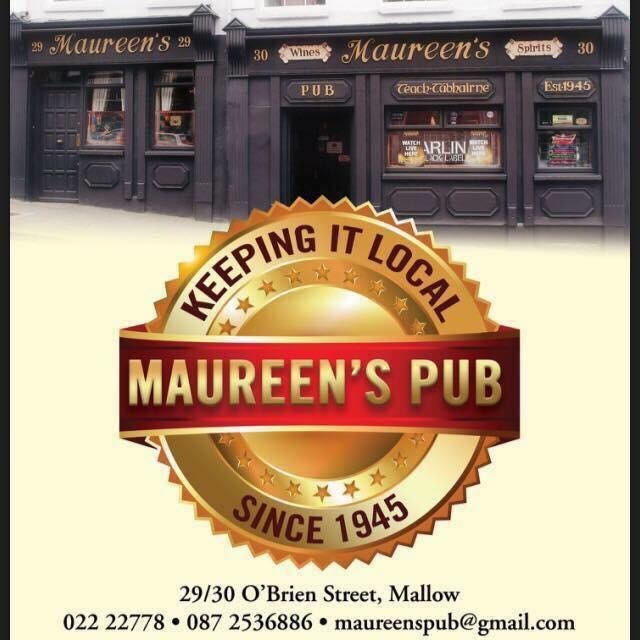 Thanks to our proud Football and Hurling Sponsors Maureen’s Pub and The Mousetrap Bar, Mallow..
Mallow GAA President Sean Cooney in Glantane last Friday at the Senior Football Championship between Mallow and Kiskeam..
County Division 2 Hurling League Round 6 Mallow 1-15 Bandon 1-13..
Minor Football Championship Round 1 Mallow 1-10 Buttevant 2-8..
County Division 2 Hurling League Round 7 Mallow V Fr. 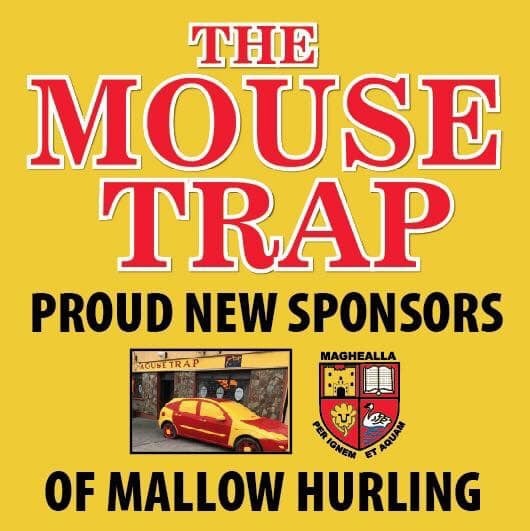 O’Neills, Saturday 13th April at 530pm in Carrigoon..
Avondhu Division 2 Hurling League Round 2 Mallow V Charleville, Sunday 14th April at 12 noon in Mallow..
Premier 2 Minor Hurling League Mallow V Kiltha Og, Monday 15th April at 645pm in Castlemartyr..
Premier Intermediate Hurling Championship Round 1 Mallow V Carrigaline, Sunday April 21st at 345pm in Ballincollig..